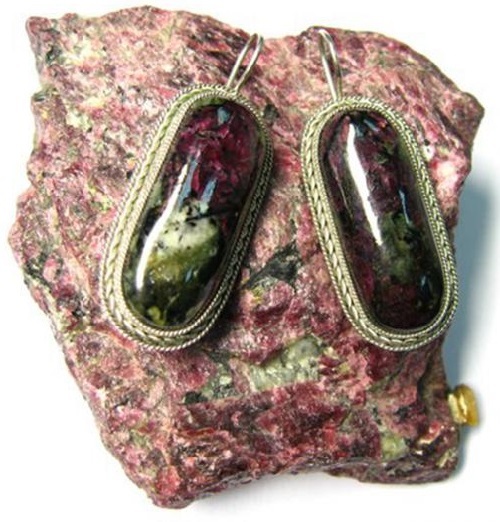 Regularly, we are inspired by the richness of nature and a variety of stones and minerals, among which is a little-known but very interesting stone – Eudialyte. 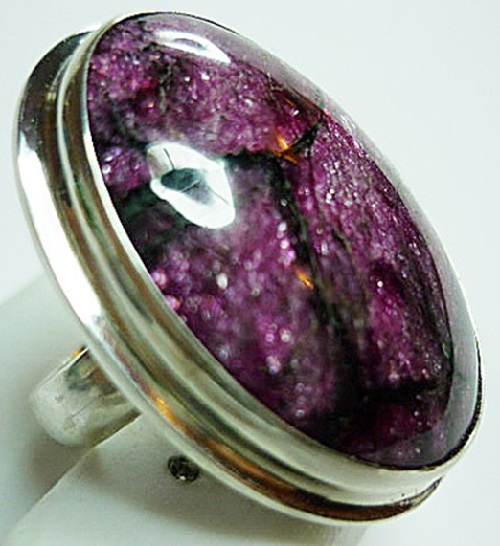 This rare mineral combines the reliability of granite, purple of sunset and gold of underground mines. 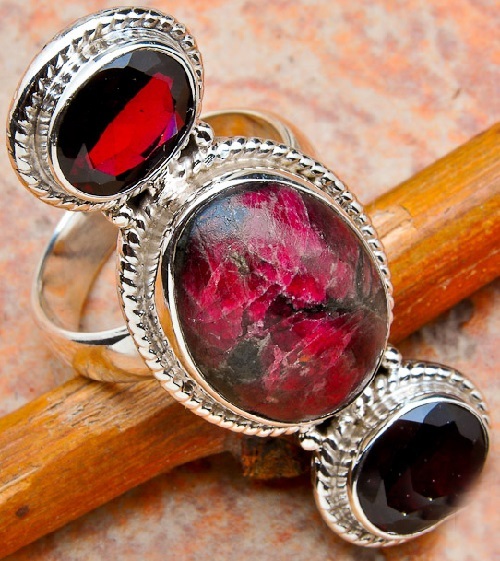 Eudialyte derives its name from the Greek phrase meaning “well decomposable”. 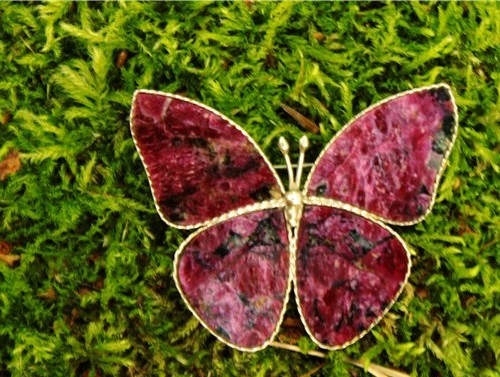 Sami, the local inhabitants of the Kola Peninsula (the far northwest of Russia) call Eudialyte “Sami blood”. The origin of the name is related to the ancient Norse legend, described by Academician Fersman in his book “Memories of a rock.” In the Sami folklore there is a legend about the battle of Sami with the Swedish soldiers. As a result of the fight on the tundra was sprayed the blood of Sami soldiers killed in the battle. 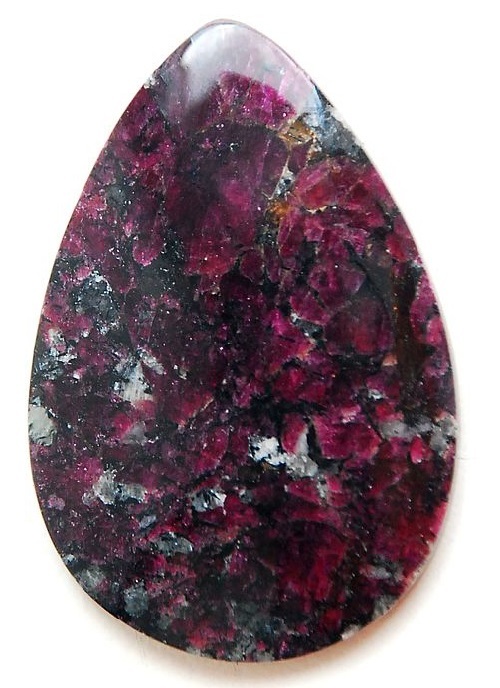 Drops of blood turned into a beautiful stone Eudialyte. 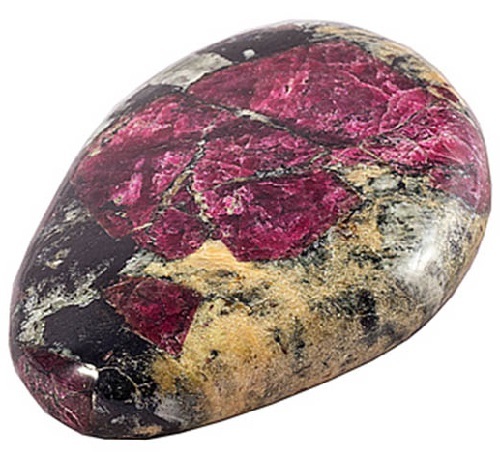 Eudialyte is a complicated complex of silicates containing sodium, calcium, cerium, iron, manganese, yttrium, and zirconium. Its crystal system is hexagonal hardness of from 5 to 5.5. 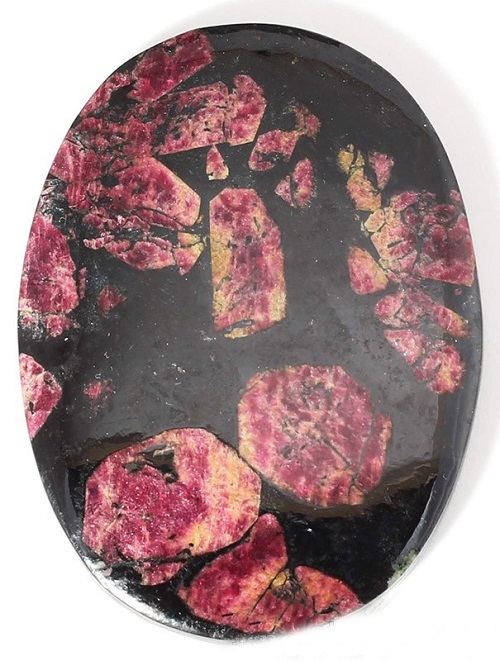 The crystals can be Eudialyte tabular, prismatic or rhombohedral, but more often it occurs in a granular form. Its color varies from pink to red and red-brown. 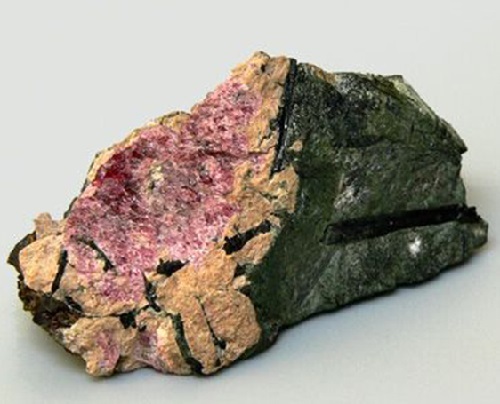 Formed in coarse-grained igneous rocks of acid. 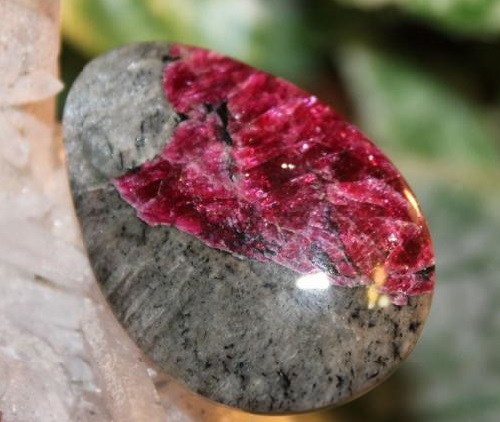 Eudialyte was discovered in Greenland and Russia, as well as in Canada. 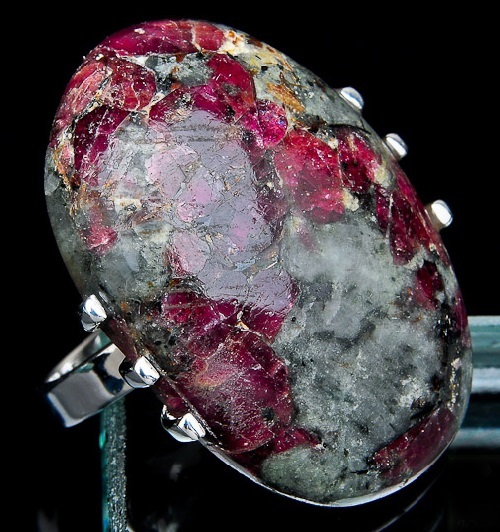 It is believed that Eudialyte cleanses the blood, is good for the prevention of pancreatitis and improves the work of the pancreas. 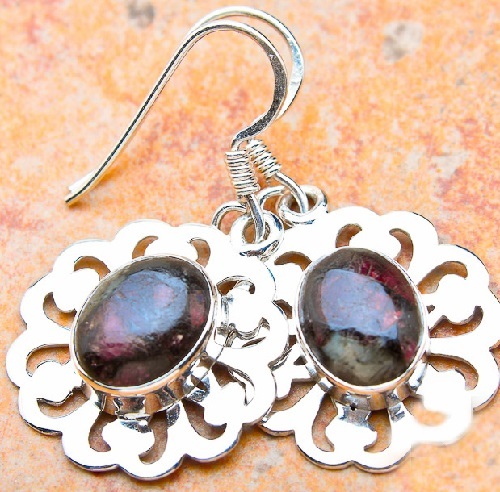 Eudialyte has the ability to enhance energy. It helps to get rid of boredom and softens sorrow. 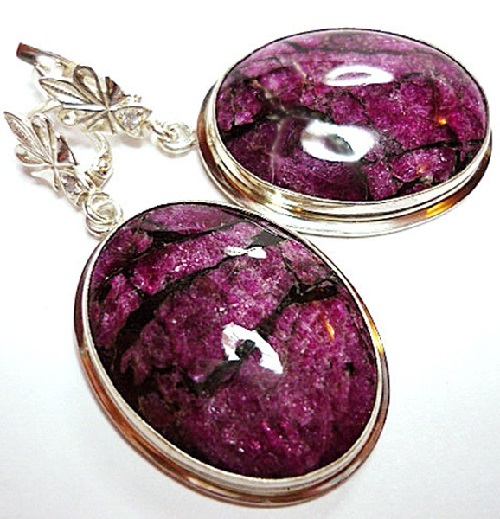 Wearing products from Eudialyte accelerates out of the depression and gives hope. 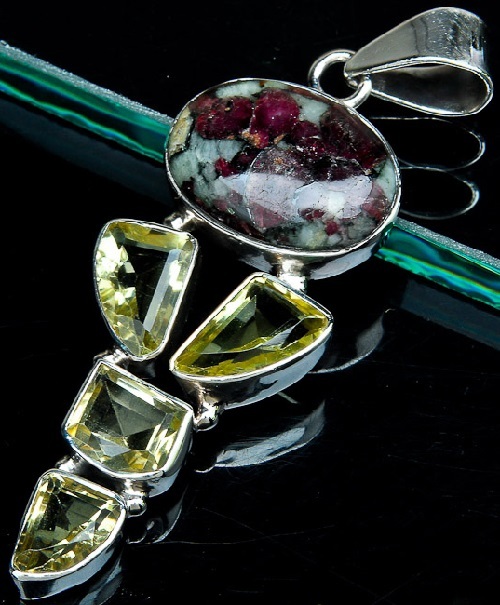 This stone brings love to people, promotes openness, sensitivity and even strengthens the will to transform the world. 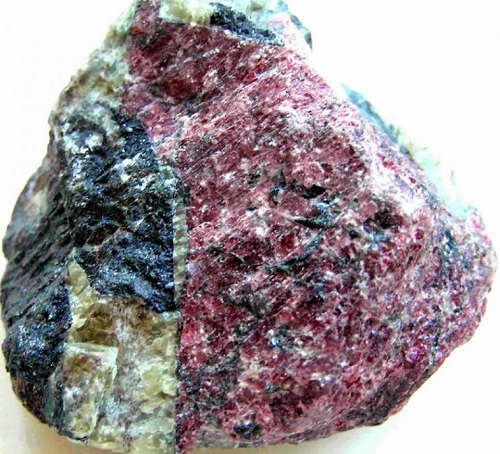 Eudialyte – the mascot of people whose activities are connected with risk and active people with hectic lifestyle. 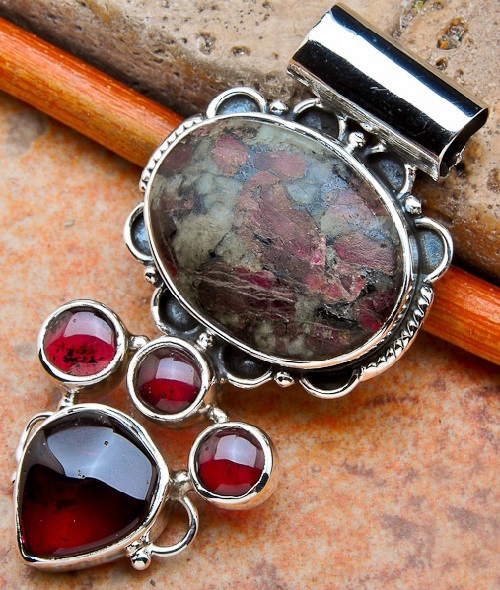 Since ancient times Eudialyte was in possession of the soldiers, as the main magical properties of stones are intended to protect the owner and make him invulnerable. 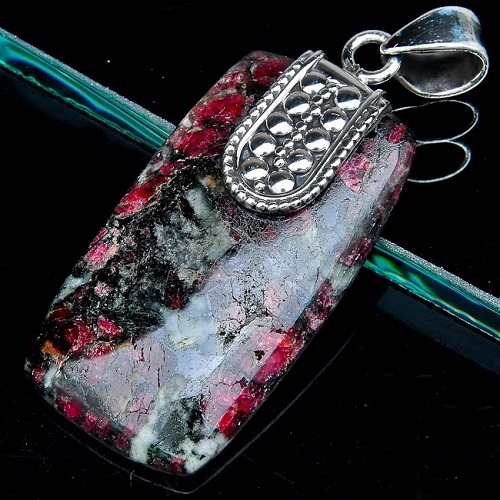 Meaning of Eudialyte as an amulet – the life force. Moreover, the active force, concentrated on target. He gives life and movement to motivation, and focus on the target, and – most importantly – enjoyment from the process. 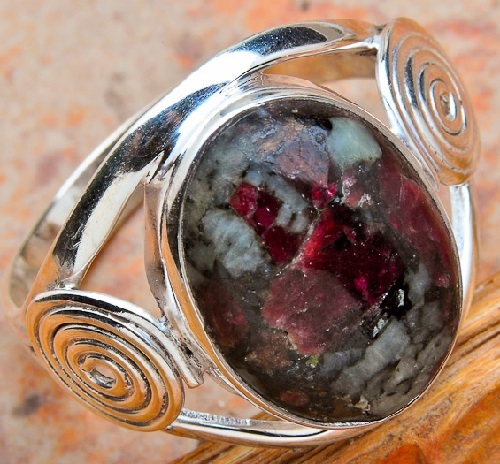 For women as a mascot better to wear a bracelet with Eudialyte, set in silver. 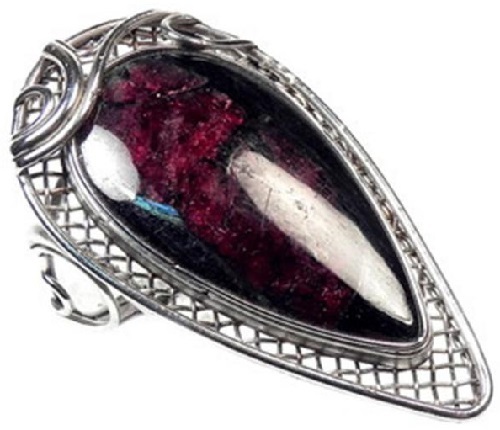 Men should make for themselves a talisman in the form of a key ring from Eudialyte.